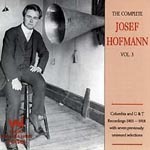 Early Columbia and Gramophone & Typewriter studio recordings made between 1903 and 1918. Chopin: Valse In E Minor, Op. Post.